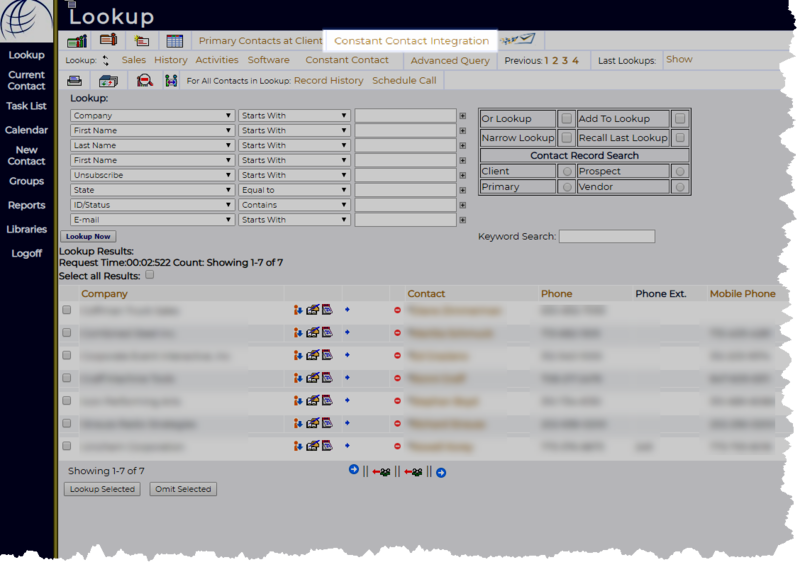 I added WiredContact for my clients that outgrow Act! or no longer want to manage a Windows desktop/.NET/MS Office deployment. 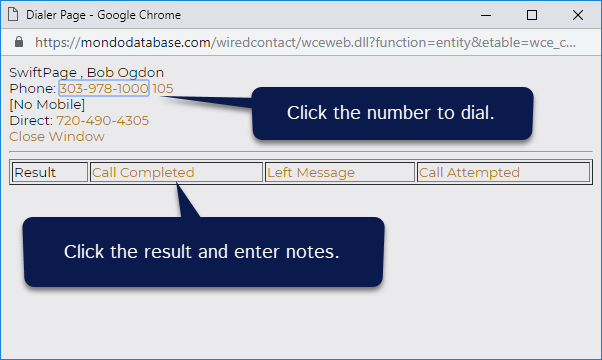 Many features in WiredContact do not require 3rd party apps like Act! needs. Conversely, Act! offers exclusive features WiredContact due to a Windows desktop. 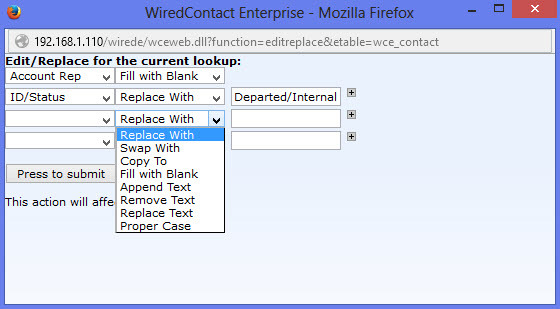 Features in WiredContact not available in Act! So what’s best for you ? It really depends. We analyze each business for their unique requirements relative to budget. 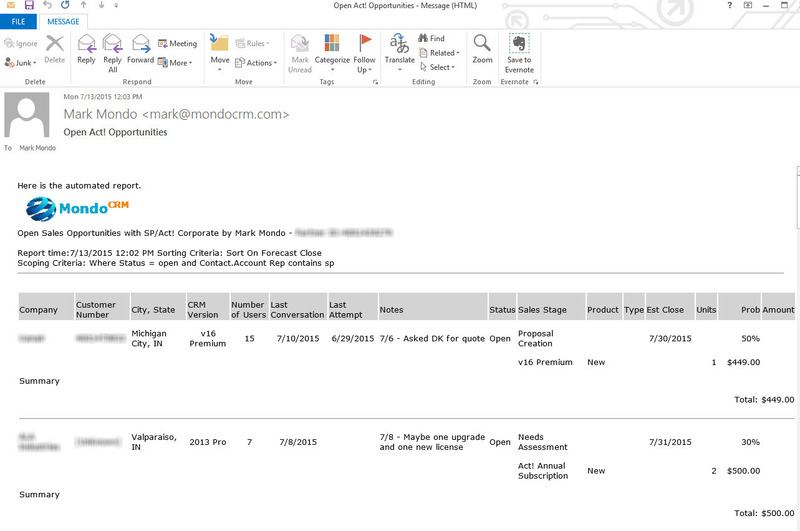 That’s where a consultancy like MondoCRM differs from other firms that only rep one product. 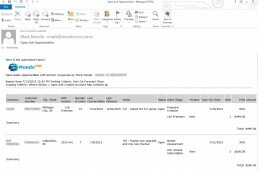 Determine whether your e-mail has been read without using a read receipt. Click to call without 3rd party license fees OR changing your existing VOIP provider. 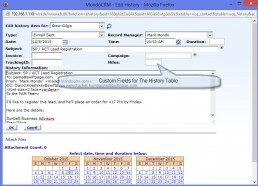 WiredContact makes it easy to classify history. 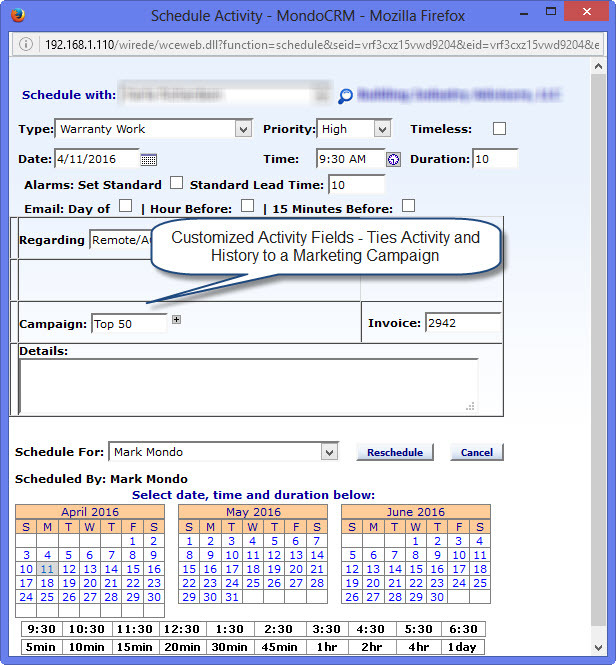 Then, reps don't have to manually compile call reports any longer. Quickly see the uncleared tasks with your client before making the next call. 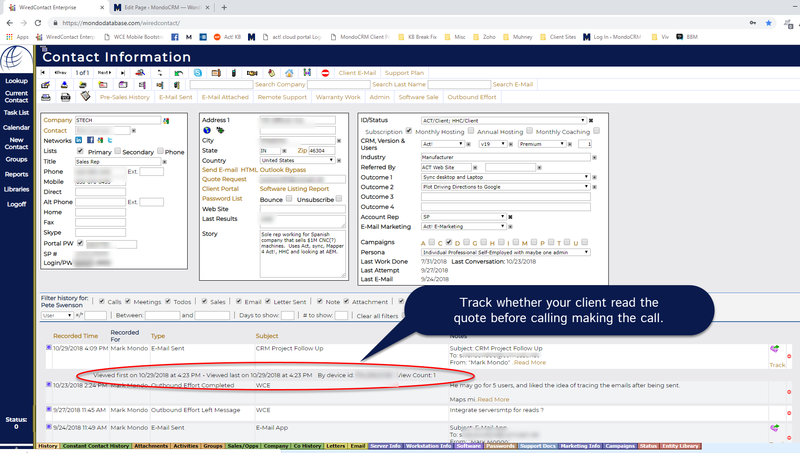 WiredContact allows you to add any contact field to the task list and you can make updates to the whole contact record without leaving this page. WiredContact can be setup to automatically distribute the reports to the executives who don't want to login to CRM to see what's happening. WiredContact allows you to create customized history fields without buying a 3rd party app, and you can rearrange the fields as you wish. WiredContact doesn't require third party plugins to make sophisticated changes to any lookup or any table within the database. 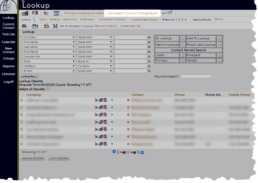 Exclusive to WiredContact, the administrator can restore a deleted contact or history in seconds. 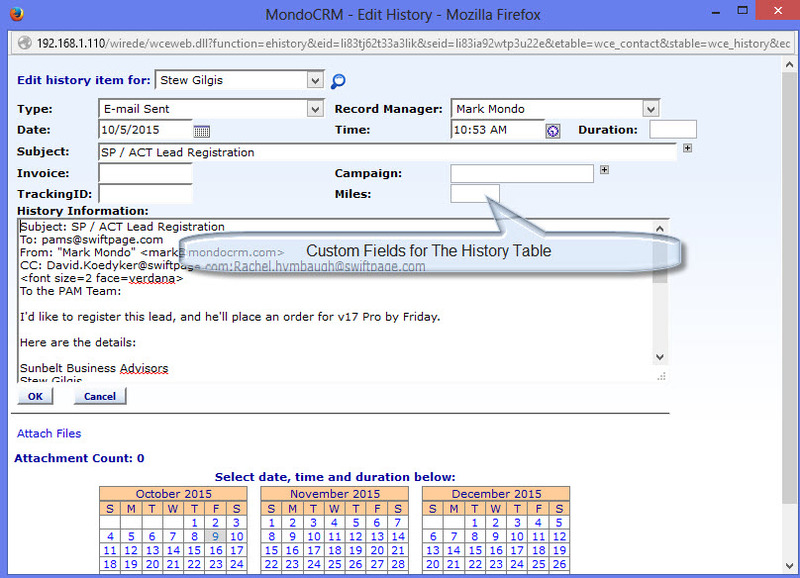 WiredContact includes a custom table option. Act! requires either Act! Premium Plus, or a third party license. 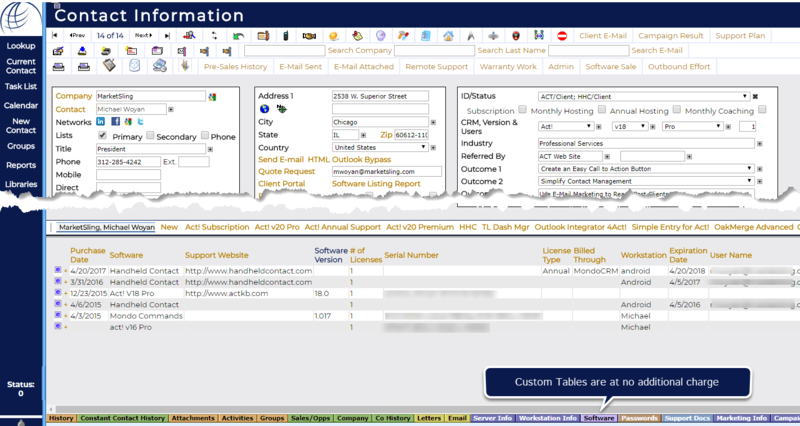 Lookup the contacts and select the integration tool. Act! integrates Act! E-Marketing, Constant Contact, Act! Marketing Automation and MailChimp.